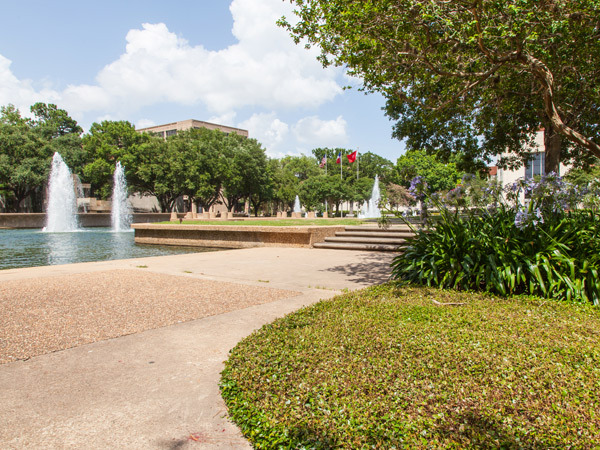 Chartered as Houston Junior College in 1927 and sited on a 100-acre drained swamp adjacent to Brays Bayou south of downtown, the formal campus master plan was designed by Hare & Hare in 1937. 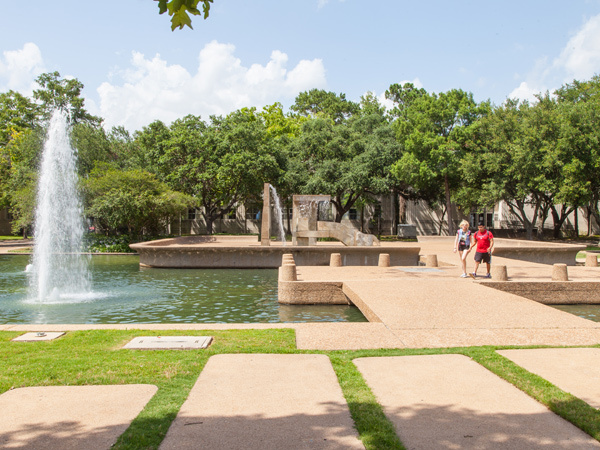 Symmetrically organized rectilinear blocks of classical collegiate buildings were positioned along axial promenades and arced boulevards interspersed with ordered rows of trees, open lawns, and an oval reflecting pool. 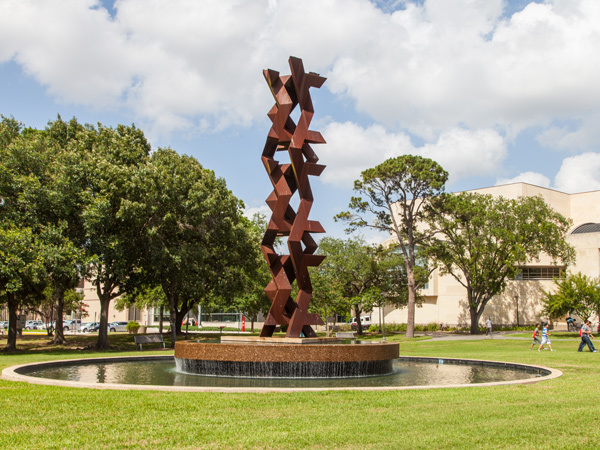 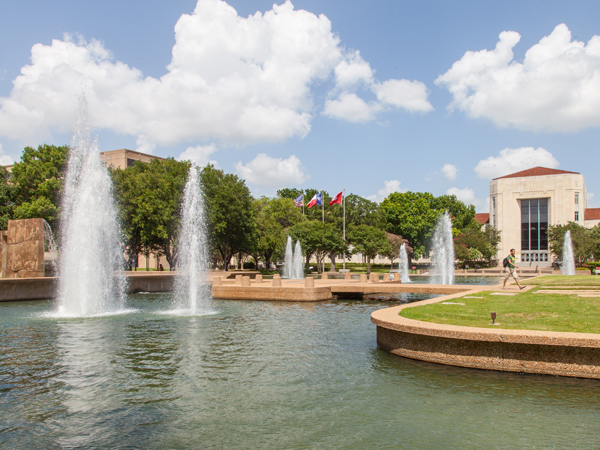 In 1966 a new, less formal master plan was adopted based on planner Victor Gruen’s vision for Fort Worth and the University dedicated one percent of its construction budget to public art. 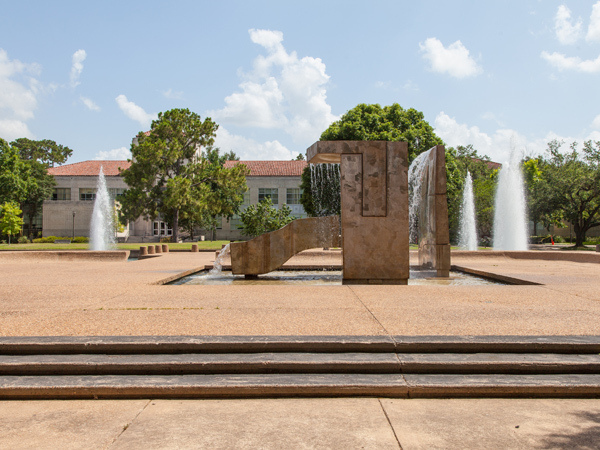 In 1971 Fred Buxton and architect John Zemanek designed the gracefully contoured Student Life Plaza with rhythmically-spaced crape myrtles and water flowing over boulders into a shallow pool. 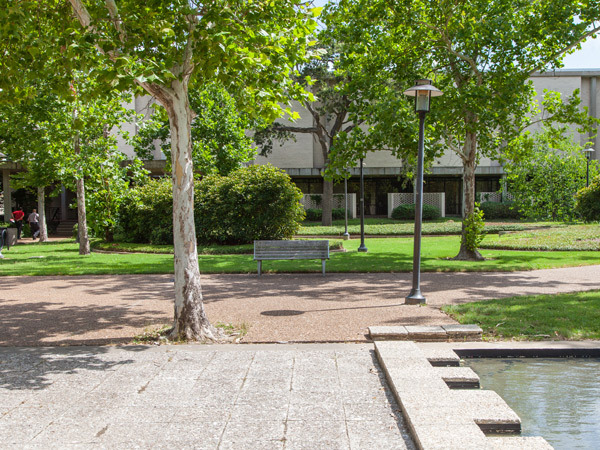 A year later the oval reflecting pool was replaced by the Cullen Family Plaza, named for donors and designed by Cornell, Bridgers & Troller with Fred Buxton & Associates. 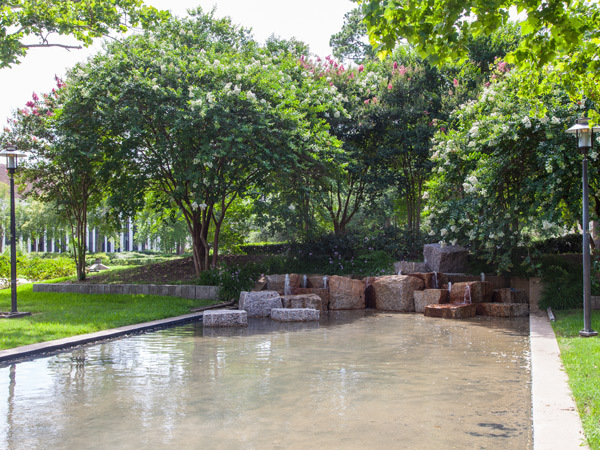 Enclosed on all sides by buildings, the plaza included grass lawns, seating elements, and a large pool bridged by a walkway, dynamic water jets, and Lee Kelly’s sculptural fountain “Waterfall, Stele and River.” By 1975, the axial plan had been substantially altered by the construction of a number of buildings, each addition lending a more intimately-scaled and spontaneous open space and pedestrian pattern to the campus. 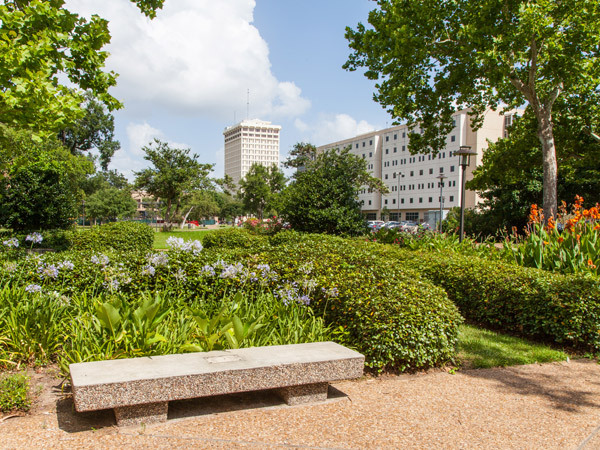 In 2006, Cooper Robertson & Partners developed a master plan that demarcated campus zones based on programming, infill, and stewardship of the historic inner campus—work being realized by the University's DesignLAB. 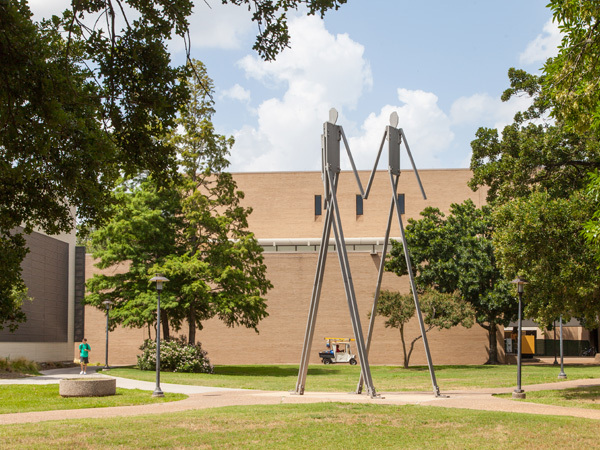 Today, at 667 acres and surrounded by parking lots and a densely organized residential neighborhood, the pedestrian campus is the setting for unique architecture and monumental public art.